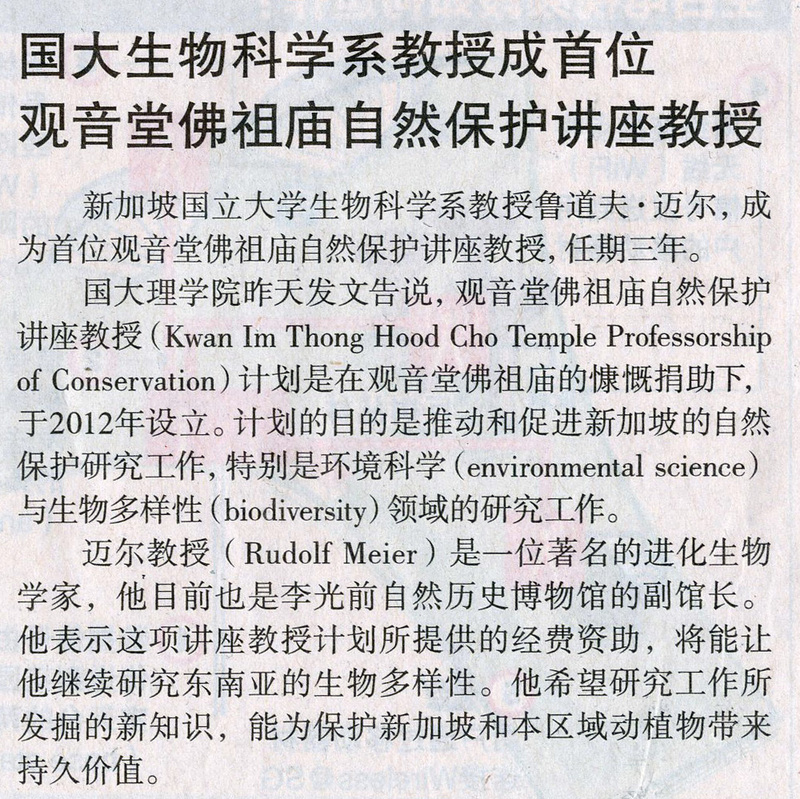 Professor Rudolf Meier appointed as the inaugural Professor for the Kwan Im Thong Hood Cho Temple Professorship of Conservation. Reblogged from NUS Media Relations. 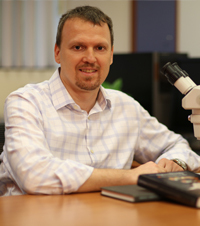 The National University of Singapore (NUS) Faculty of Science is pleased to announce that Professor Rudolf Meier from the University’s Department of Biological Sciences at the Faculty of Science and University Scholars Programme, has been appointed as the inaugural Professor for the Kwan Im Thong Hood Cho Temple Professorship of Conservation. The Kwan Im Thong Hood Cho Temple Professorship of Conservation was set up in 2012 through the generous gift from the Kwan Im Thong Hood Cho Temple. The Kwan Im Thong Hood Cho Temple, established in 1884, is one of Singapore’s most respected institutions and has a long history of philanthropy. The Professorship is the first that supports conservation and biodiversity research conducted in Singapore and Southeast Asia, teaching of integrated biodiversity and environmental courses, and training of a new generation of environmental scientists and managers. Prof Meier, who is also Deputy Head for the new Lee Kong Chian Natural History Museum, is currently leading several biodiversity research projects related to conserving Singapore’s fauna and flora. His study of the genetics and diet of Singapore’s endangered banded leaf monkey population has revealed that the population is very small and highly inbred. He is also using trace amounts of DNA from non-invasive samples of the monkeys to reconstruct their diet. In another project focusing on Singapore’s green spaces, he collaborates with the National Parks Board in identifying mangrove fragments that are particularly rich in species. This research has led to the discovery of many new species of insects that are only known from Singapore. One of his long-term goals is to generate “DNA barcodes” for all plant and many animal species in Singapore. These barcodes will then be used to understand how pollination and fruit dispersal maintain genetic diversity in Singapore’s plant and animal populations. Please refer to the Annex for Prof Meier’s biography. ← Donation of narwhal tusk to the Museum by Mdm Hoo Miew Oon.